Win £500 worth of outfits from Georgedé , the French Couture house. from Georgedé, the French Couture house. Georgedé, in association with Inspired, is offering one lucky reader the chance to win this exquisite knitted jersey dress – shown – worth a £500 from its Summer 2012 collection plus a further £320 worth of its clothes. a leading French fashion house; great design, uncompromising attention to detail and a perfect fit. Georgedé has recently been introduced to the UK and has already established a strong foot hold amongst clientele seeking understated elegance at a realistic and affordable price. Georgedé’s Summer 2012 range includes blouses, skirts & pants, dresses and twin sets. All ranges come in sizes 12 to 26. To see the full range just log onto http://www.Georgede.com. Question: In which European city is Georgedé based? • All Georgedé styles subject to availability. • Postage within the European Union. by 31 August to be in with a chance! brilliant. i might get the kids at school to have a go! 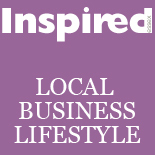 This entry was posted on August 16, 2012 by inspiredessex in Beauty & Wellbeing, Chatty, Ladies Fashion, Ladies Time Out, Offers and Competitions.